According to a joint study conducted by The National Association of Realtors® and Google, between 2009 and 2013 real estate-related Google searches increased by 253%. And today, more than 92% of people now use the Internet in their home search. If you had any doubt about the importance of your real estate website, these two statistics should help bring you back to reality. Today’s homebuyers and sellers are looking for resources. They’re turning to the Internet to find knowledgeable agents, community information, robust property search capabilities, first-rate marketing tactics, and market data – all wrapped up in a nice user experience. 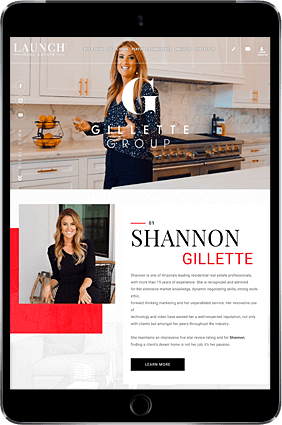 As the need to increase and perfect your online presence continues to grow, real estate agents are being inundated with different ways to improve their real estate websites. Some of these techniques are no-brainers, while others are more specialized and require the aid of professional web designers. We’ve put together a list of 5 tips to improve your real estate website that will help give potential and current clients the user experience and information they require in today’s fast-paced market. 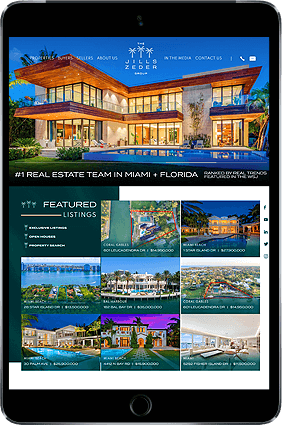 Every real estate website needs high quality images, IDX search capabilities, and detailed information about your service area. 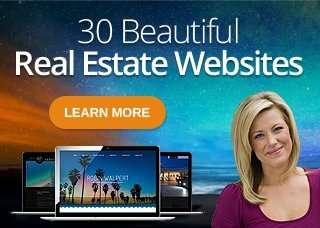 What these 5 tips will do is fine tune your web design so that your real estate website not only attracts more unique visitors, but will also convert to more leads and referrals. One recommendation that all web designers agree on is that the more images and videos that you provide on your website the better. However, if you follow this recommendation but do not consider the effect that so much data on your site will have on the user end, you may end up losing more visitors than you attract. There is nothing worse than having your website’s visitors search interrupted with an annoying pop-up ad or sign up banner. Many times the user has only been on the site for less than a minute. They haven’t even had time to see what you have to offer before they are asked to sign up for your newsletter or to register on your site. Avoid turning potential clients off by bombarding them with annoying disruptions like pop-up ads, audio, and video within seconds of their arrival. Let your site sell itself. When they are ready to learn more, if you are doing it right, they will know exactly where to go to contact you or to sign up for your e-mail alerts. A little nudge never hurts after they’ve been on the site for a bit, but do so with finesse. The more information you load onto your site, the greater the potential for slow loading pages. If your page takes more than 5 seconds to load, visitors are likely to leave it according to a recent Aberdeen Group report. The faster your website loads, the better users feel about your company and your brand. For an industry that relies heavily on online traffic to generate business, optimizing your real estate website to handle the load of multiple browsers is crucial. Adding pop-ups or loading a lot of images and video without accounting for the capacity of your website is often the cause of slow loading pages. Choose a qualified web designer who focuses on the end user experience as well as the overall appearance and navigability of your website. 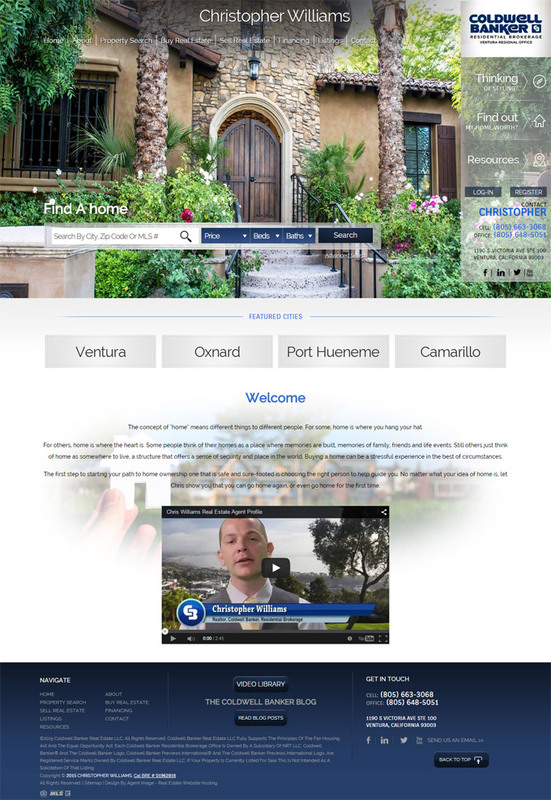 See this tip in action: Christopher Williams, a Coldwell Banker agent in Ventura, California, recently completed his website design project. Christopher’s website is a great example of a clean design that offers an engaging user experience. It’s devoid of pop-ups, loads quickly and provides visitors with instant access to the information they’re looking for. 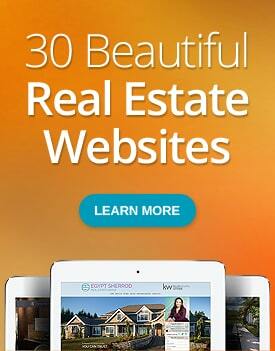 One way to improve your real estate website is to constantly update and offer reliable information. That can be accomplished through web content like real estate blogs or white papers. These two tips are specific ways to provide solid information that your prospective buyers and sellers can use. Depending on your market, some of the traffic coming to your real estate website will likely come from first time homebuyers and sellers. Often they are completely unfamiliar with the process and are searching for helpful information that will make the process easier and less overwhelming. Providing step-by-step guides to buying and selling can greatly improve the usefulness of your website. Along those same lines, buyers and sellers want to know what to expect throughout the process of buying or selling a home. They want to know what kind of documentation they need, how much money they will have to spend, should they make home repairs before selling or do inspection costs come out of their pocket before buying. Every qualified real estate agent knows the answers to these questions. Share that information with your website visitors. They make great informative pieces, can be posted on a regular basis with new and interesting tips, and will go a long way to building trust and a good reputation with your potential clients. 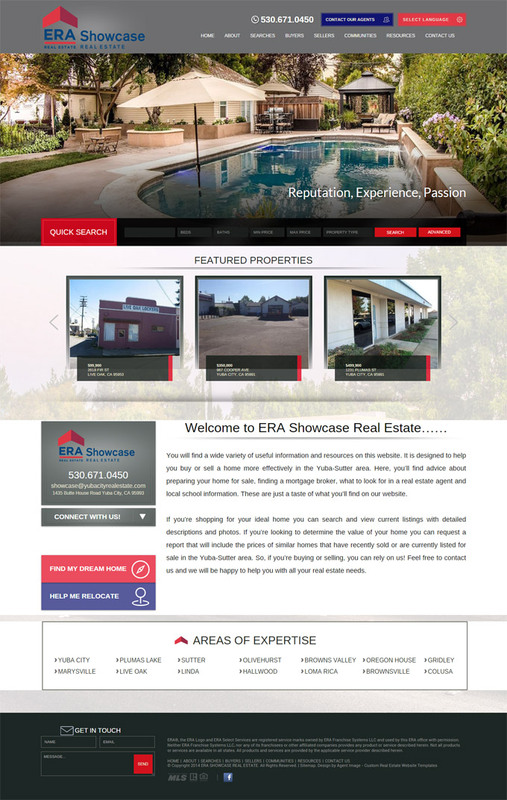 See this tip in action: ERA Showcase Real Estate, which services the Yuba City market, recently completed their new website with our team at Agent Image. Having a wealth of knowledge to provide to their clients, their buyer and seller’s pages offer detailed information on the process, what to expect and more. A lot of industry sites will tell you to provide plenty of information to your website visitors from neighborhood stats to home prices. But this is just some of the information that potential homebuyers and sellers are looking for. They also want to learn what much of the jargon means. As a real estate agent, you may take for granted that your clients know what many industry terms mean, but many do not. Sure, they may have heard the word mortgage before, but what is the difference between a fixed rate mortgage and an adjustable rate mortgage? Beyond defining terms, your real estate website is a great place to help educate your visitors about the housing industry. Not only does it keep the content fresh and new on your website but it also does the work for you. By the time prospective buyers pick up the phone to call you, they feel much more confident and ready to move forward. See this tip in action: HGTV personality Egypt Sherrod, who services the Atlanta real estate market, recently finished her Agent Image website project, and is a great example of how to give your visitors the information they need to feel comfortable with the buying and selling process. Her blog features a wealth of informative articles, she provides information on preferred vendors, and she has specific pages for buyers and sellers information. Earlier we discussed annoying pop-ups that request information from your website visitors before they even have a chance to look around your site. The follow-up is very important for turning website traffic into clientele, but there is a method to it that will ensure the best results. First, your real estate website should have a contact tab at the top of the page along with your services tab and the about page. In addition to that, strategically placed links to contact you should be included on every page. When a visitor to your website clicks on a listing, your contact information should appear on a sidebar that is easy to see. Additionally, enabling several different ways for visitors to contact you is a must. Place social media buttons on each page so that they can share your site or login using their Facebook or Twitter accounts. Your online contact form is very important and should provide a lot of information to you on the back end. But for your users, the most important point is to make it short and simple. They should not have to fill in their address, age, race, etc. Keep it simple; get their email, name, phone number, and a good time to contact them. See this tip in action: An Flamand, an Orlando real estate expert, recently completed her new website with our team at Agent Image. When visitors arrive at her site, not only can they find her contact information prominently at the top of the page, they are greeted by an instant chat option that connects them with An instantly. 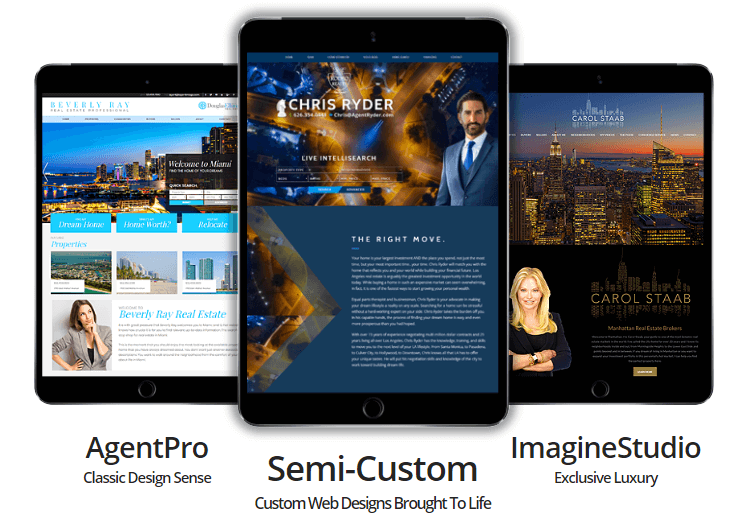 When choosing a web designer to help improve your real estate website, pick one that can give you more than just a standard website; one that will cover all of the bases and offer fresh ideas to increase your online presence. That is what we do at Agent Image! Our methods are proven and our designs are top of the market. Our team of developers, designers, and industry pros are always on the cutting edge of industry trends and real estate technology. 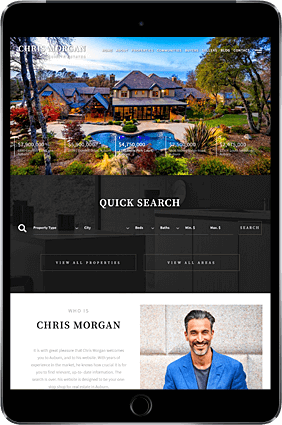 For more information about how to improve your real estate website, take advantage of our free consultation – contact us today!